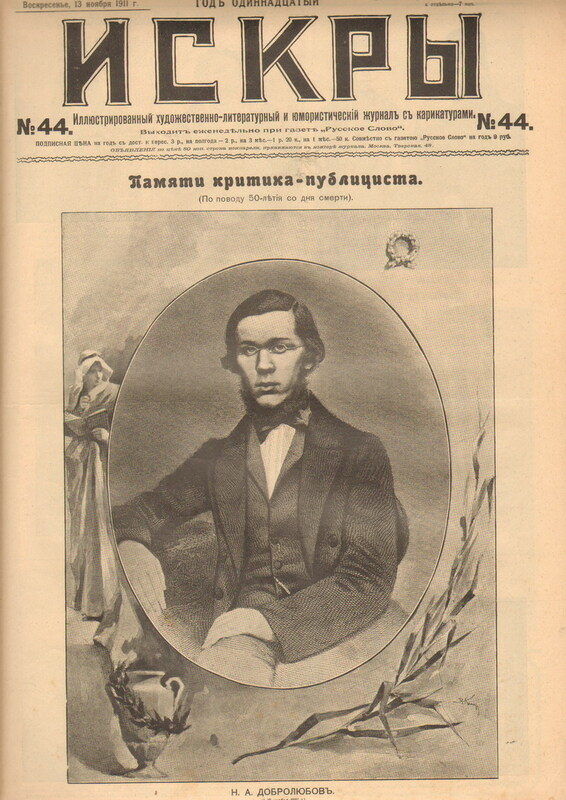 My research focuses on mid-nineteenth-century Russian literary criticism and prose fiction, particularly the work of the “revolutionary” or “radical” critic Nikolai Dobroliubov as well as work by Dostoevsky, Belinsky, Chernyshevsky and “aesthetic” critics like Aleksandr Druzhinin and Pavel Annenkov. (An article by Dobroliubov inspired the title of this site.) I’m particularly interested in the conceptual tensions that arise when writers articulate a positivist realist aesthetic while also advocating the revolutionary transformation of their sociopolitical milieu. My work analyzes the discursive strategies writers use to span the gap between the imitation and the remaking of the surrounding world — in other words, to make the reformist vision plausible. Although I’ve been a committed Russianist for my entire professional career, I did extensive comparative work on German in graduate school and applied the approach described above to the culture of the German Enlightenment. I’m generally fascinated by the theory and practice of realism, mimesis and verisimilitude in art as well as theories of the social and moral utility of art. I published an article on Dobroliubov in the Slavic & East European Journal (57.1, 2013) and have another article on radical Russian criticism forthcoming in Russian Literature (Fall 2019). I published an article on the German Neoclassical critic J.C. Gottsched in The German Quarterly (87.1, 2014).